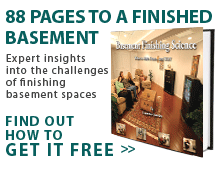 Healthy Basement Systems provides basement finishing for customers located in Vincennes, Oakland City, Princeton, Petersburg, Rockport, Santa Claus, Tell City and nearby! Our goal is to transform your basement into a fun and safe place to spend time with family and friends. To that end, all work we complete on basements in the Bluegrass State comes with a 50-year warranty against mold and mildew growth. Your health and safety is important to us. Healthy Spaces came out and did a wonderful job. Very pleased with how the job went. Was kept up to date on progress. Great job! They did so great! If you would like to increase the value of your Kentucky home, lower your electric bill, and turn a currently unused room into the go-to room of your house, contact one of our Kentucky basement remodeling contractors today! We have years of training and experience in turning musty, dusty basements into 100% usable and comfortable places to hang out, relax, or even work. Whether you would like your new basement to be a game room, home office, gym, or home theatre, we can help! Due to an increase in demand, we have expanded our Kentucky coverage area to include such towns as Louisville, Lexington, Owensboro, Bowling Green, and Covington. If you would like to receive a free basement finishing or basement remodeling inspection and quote, call one of our trusted Kentucky basement contractors today! I am closing on a house the end of the month in Cave City. Would like to know the cost of finishing basement for a game room with possibly a bathroom. Comment: I am closing on a house the end of the month in Cave City. Would like to know the cost of finishing basement for a game room with possibly a bathroom.